Japan experienced an historic transfer of power in 2009 when the Democratic Party of Japan (DPJ) defeated the Liberal Democratic Party (LDP), which had been the ruling party for all but one year since the end of World War II. That election witnessed another notable, if less visible, achievement: the DPJ’s Shiori Yamao, a University of Tokyo graduate and former prosecutor, defied the odds in the country’s traditionally male-dominated political system to become one of the relatively few number of women to win a seat in the lower house of Japan’s bicameral parliament. As part of his effort to boost Japan’s economy, Prime Minister Shinzo Abe has focused on increasing female participation in the country’s labor force, including addressing a national shortage of day-care centers to help new mothers return to work. He also supported a goal of having women occupy 30 percent of leadership positions by 2020—a target which his government lowered in 2015 to just 7 percent. The revision appeared to be an acknowledgment of the challenges to changing society’s attitudes about traditional gender roles, including in the country’s political life. Female political representation in Japan has grown very slowly since 1946, when Japanese women won the right to vote. The first post-war general election that same year saw 39 women elected to parliament—representing just 8.4 percent of all of the legislature’s members. After the Socialist Party’s Takako Doi became the first female leader of a political party in 1986, she helped usher in the so-called Madonna boom, when larger numbers of women ran successfully for political office. 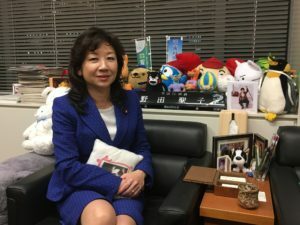 Her efforts to recruit more women to become candidates helped increase the proportion of women in parliament to 17.5 percent following the 1989 upper house election. Following the 2009 elections, female representation in the lower house rose above 10 percent for the first time. Noda says that Doi was one of only a handful of women in political life when she was first elected in 1993. But she also recalls that Doi, who was single and had no children, believed that women would have to stop behaving like traditional Japanese women in order to succeed in politics. Noda navigated—and to a large extent, assimilated into—the male-dominated political world. That changed in 2011, when she became pregnant through in-vitro fertilization, because she said she “wanted to recover her womanhood.” Her husband stays home to care for their 6-year-old son, who is handicapped. More than 70 years after getting the right to vote, women still account for only 9.3 percent of members in the lower house of parliament, according to the Inter-Parliamentary Union—placing Japan 163rd out of 193 countries in terms of the percentage of women in national legislatures. In Japan’s less powerful upper house, women comprise a more respectable 20.7 percent of members. Despite the challenges female politicians continue to face, there have been some recent encouraging developments. Female representation in the upper house increased by 5 percent after the July 2016 election. The following month, voters chose Yuriko Koike to be Tokyo’s first female governor. 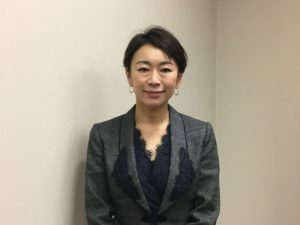 And in September, Renho Murata, who had served in the upper house for more than a decade, became the first woman to lead the Democratic Party (which was formed in March 2016 as the result of a merger between the DPJ and another political party). Meanwhile, the tide has already begun to turn—albeit it slowly—for female lawmakers with children. In 2000, the upper house finally revised a rule to allow female lawmakers to take a leave of absence after giving birth. The reform came right before Seiko Hashimoto, a bronze medalist in skating at the 1992 Winter Olympics, became the first upper house lawmaker to have a baby while in office. Ten years later, in 2010, a child care center opened in parliament, and the number of female lawmakers who have had children continues to increase.